As well as performing as a duo, Ben and Anita tour as a trio with Acadian multi-instrumentalist, Zakk Cormier. Zakk is a dynamic musician with deep roots in the musical community of Prince Edward Island. He brings his talents as a sympathetic guitar accompanist, as well as the driving rhythm of Acadian foot-percussion. 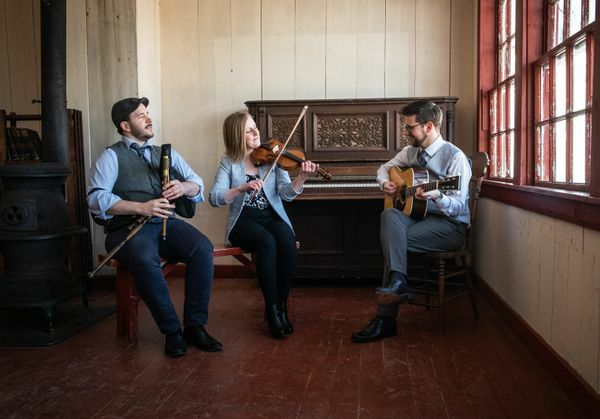 As Miller | MacDonald | Cormier, these three young artists create a powerful sound, which transcends the boundaries between Cape Breton, Scottish, and Acadian traditions.